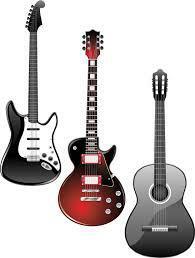 The guitar is now the most popular instrument for adults to learn and the second for children. Overtaking violin. Why do so many people want to learn to play the guitar? What makes it so popular? A lot of popular music and songs have a guitar in it. And even if it doesn’t have a guitar in it, you can often play a guitar version of a song. Because people see their favourite artists playing the guitar, whether it’s acoustic, pop or rock. They are inspired to learn themselves. 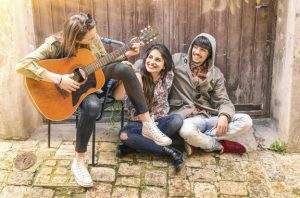 The rise in popularity of covers being played on YouTube have definitely been contributing factor in people want to play the guitar themselves. Once people have mastered the main chords, a lot of songs are based around similar chord progressions. People find themselves being able to play along to their favourite songs quite quickly. 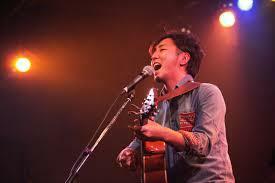 popularity of singer-songwriters, they do make it seem very effortless. With some practice of your own, you can master it as well. You will need to be able to play the guitar comfortably enough to count and coordinate your hands. While your brain figures out how to sing as well. The more practice, the easier it will get! There is definitely a romantic view of open mics, singer-songwriters that have inspired many to pick up the guitar to play. It does make the perfect instrument for it. Something very attractive about a girl or a guy playing guitar and singing at the same time. As you would expect because the guitar is so popular. want to play with them, to have fun. Connect with them on a musical level. For some people, they want to impress their friends and family with their guitar playing. Whatever it is, playing guitar in front of or with other people can be a lot of fun! Just make sure you find supportive friends and audience to start with to boost your confidence. rain coordinated with your two hands. It becomes a lot easier depending on what you want to play! Beyond guitar music being present in so much popular music. It is also in so many different genres of music. The great thing is that you can start playing the guitar and diversify based on your interest. e fundamentals in the beginning. that you want to play. 0 years of classical music. And yet it’s already so diverse and interesting! Develop your own style of guitar playing by experimenting and working towards what you enjoy. Darryl Powis is a guitar school owner and guitar teacher in East London, England. Here to provide the best acoustic guitar lessons in London to beginners and advanced guitar players.